Sharing your favorite cocktail recipes with friends is such a fun thing to do. 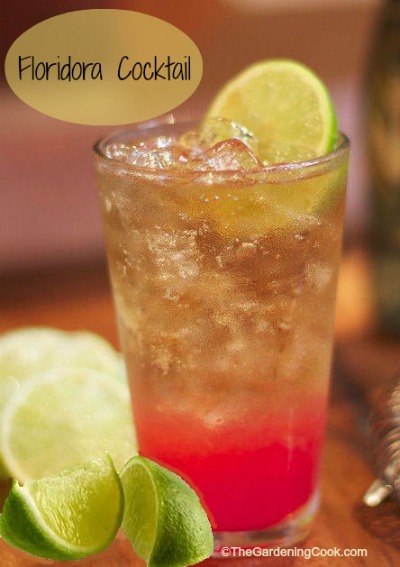 This Floridora Cocktail combines the flavors of raspberry liqueur and lime juice with ginger ale for a refreshing drink. Try a Floridora Cocktail is a refreshing drink sensation. Are you ready to take a virtual vacation trip? This refreshing cocktail brings to mind trips to Florida with it’s delightful blend of gin, lime juice and raspberry liqueur. Garnish it with fresh mint and you will feel as though you are on holiday! Sipping on this drink will make you think you are in the tropics.